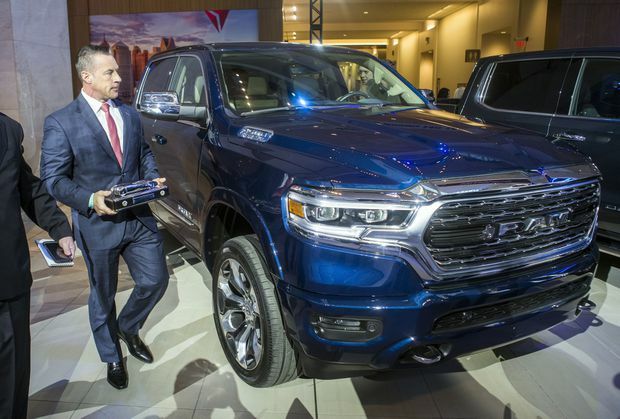 Reid Bigland, head of the Ram brand, walks next to the Ram 1500 pickup truck after it was awarded the 2019 North American Truck of the Year, in Detroit, on Jan. 14, 2019. A decade ago, Chrysler was the weakest of the three Detroit automakers and staved off collapse with the help of a government-backed bankruptcy. Today, Fiat Chrysler Automobiles appears to be the sturdiest by many measures, in large part because it stopped making sedans well before its competitors. The company’s chief executive, Mike Manley, said Monday that Fiat Chrysler was strong enough that it no longer needed a merger or an alliance – options it was pursuing as recently as a year ago. By leaving the car business, where many companies are losing money, Fiat Chrysler was able to pour resources into higher-margin and better-selling sport utility vehicles and trucks. In 2018, Fiat Chrysler’s sales in the United States increased 9 per cent, powered by its Jeep brand, while the overall market was flat and domestic sales fell at General Motors, Ford Motor, Toyota and other big producers. 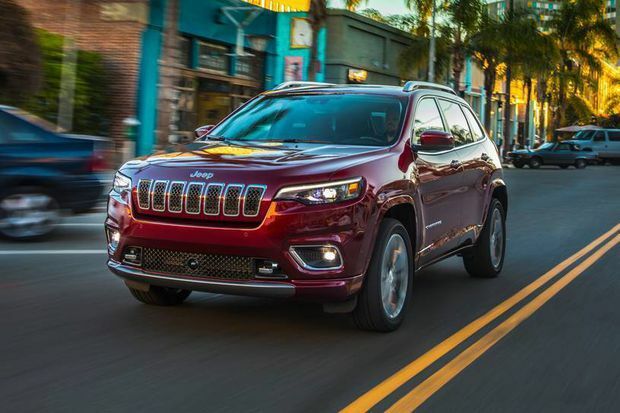 In 2018, Fiat Chrysler’s sales in the United States increased 9 per cent, powered by its Jeep brand lineup that includes this 2019 Jeep Cherokee. GM and Ford are only now scrambling to cut jobs, increase profits and follow Fiat Chrysler out of the passenger-car business. GM recently idled three car and two engine factories in North America in an effort to shed 14,000 jobs. Ford last spring said it would stop making popular sedans like the Fusion, Focus and Taurus while moving resources into new SUVs and electric vehicles. And on Tuesday, Ford and Volkswagen are expected to announce the outlines of an alliance that is meant to help the companies slash costs. Fiat Chrysler still faces plenty of challenges. Its Dodge and Chrysler brands score below average in quality surveys and offer fewer models than many of the company’s competitors. The company has invested a lot less in autonomous and electric vehicles than its rivals, a decision that could cost hurt Fiat Chrysler in the future. In addition, the company has much lower profit margins in the rest of the world than in North America. Manley said he was confident that Fiat Chrysler could address those problems. The company, for example, plans to introduce more hybrid and electric models. But Manley said he saw no justification for an aggressive push into electric cars because most automakers aside from Tesla have struggled to sell those cars in large numbers. Marchionne spent heavily to develop a car, the Chrysler 200, that could compete with popular models like the Toyota Camry and Honda Accord, and a small car, the Dodge Dart, for the American market. The 200 became the star of an iconic Super Bowl ad in 2011 that played up vehicles “imported from Detroit” and became a symbol of Chrysler’s comeback. A 2012 Chrysler 200 sedan is displayed at the Vancouver International Auto Show, on April 3, 2012. In 2015, concluding that Fiat Chrysler was not profitable enough to survive on its own, Marchionne proposed a merger with GM. After he was rebuffed, he explored deals with Chinese automakers and others. At the time, the company’s North American profit margin was well below Ford’s and GM’s. Sales of the 200 and Dart were foundering too, as low gas prices enticed American consumers to gravitate toward fuel-guzzling SUVs. Marchionne discontinued the 200 and Dart, and retooled factories producing those models to make trucks and Jeeps. Many analysts warned that Fiat Chrysler was making a risky bet that could backfire when gas prices started rising again. Marchionne died unexpectedly last year after shoulder surgery and was succeeded by Manley. The new chief executive said the exit from sedans laid the foundation for the company’s resurgence. The Sterling Heights, Michigan, plant that made the Chrysler 200 was barely making money when production ceased in 2016. Today, it makes the redesigned Ram pickup truck. Without revealing precise figures, Manley said the plant was now highly profitable. The new Ram is taking market share from Ford and GM in the lucrative full-size pickup segment. The company says more large vehicles are on the way. The new Jeep Gladiator pickup has just arrived in showrooms and will be followed by two large SUVs – the Jeep Wagoneer and Grand Wagoneer. Fiat Chrysler expects to add at least 2,000 workers at a Detroit factory. 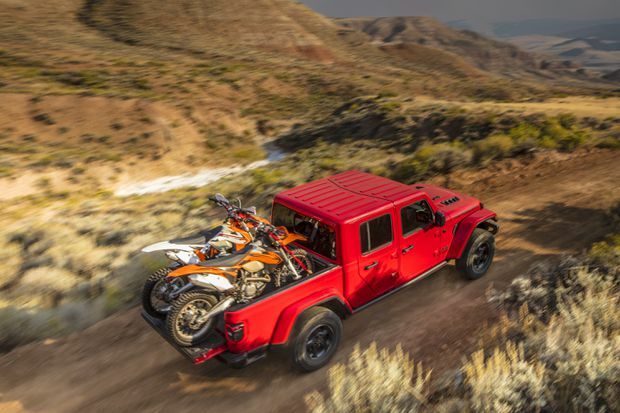 The new Jeep Gladiator pickup just arrived in showrooms and will be followed by two large SUVs.